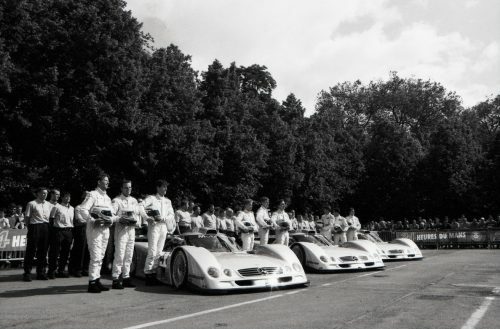 In 1999, Mercedes went to Le Mans with the aim of winning the 24hr race outright with a trio of CLR GT cars. 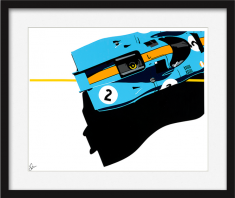 But that’s not quite how things turned out. 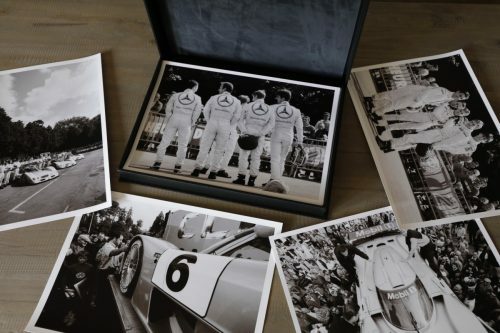 A string of incidents which saw the cars of Mark Webber and Peter Dumbreck become airborne forced the legendary team to pull down the shutters and go home. 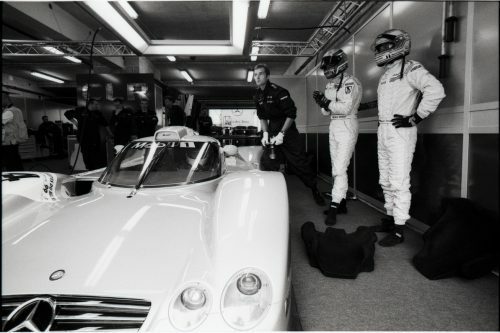 Laurence Baker was hired by Mercedes to document the entire week, and he decided to shoot on black and white film. 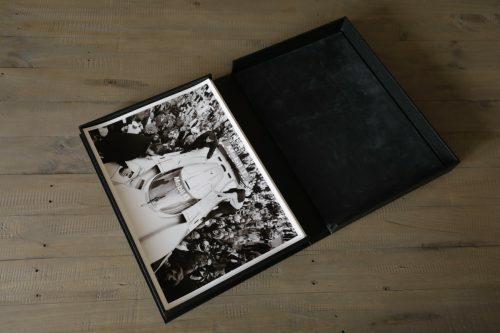 Almost 20 years later, the pictures he took have never been seen until now and are being offered as a set of 40 images for the discerning collector. 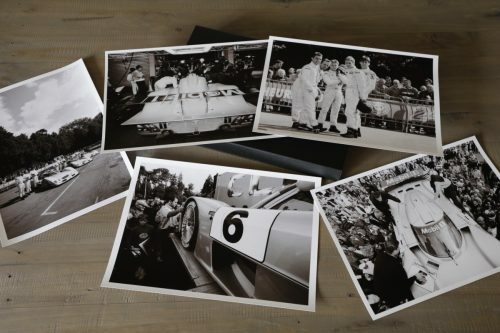 Available in A3 and A4 formats, each set is limited to 99 copies and contains a full set of images that give insight into that week – from scrutineering in the town square, to preparing the cars for practice, to qualifying, and the race itself. 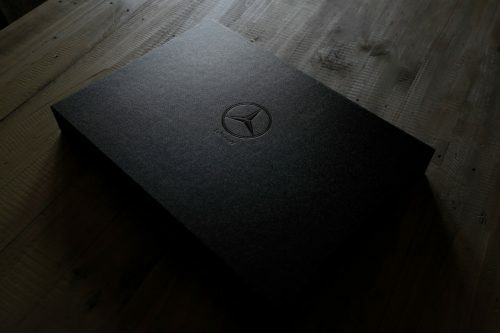 The prints are presented in a beautiful, hand-made, suede lined box embossed with the Mercedes silver star, the name of the recipient, and numbered 1-99. Ships in 2-3 weeks from Europe. 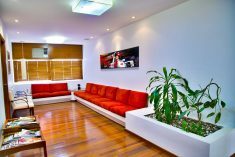 U.S. and international customers may incur customs/VAT fees. 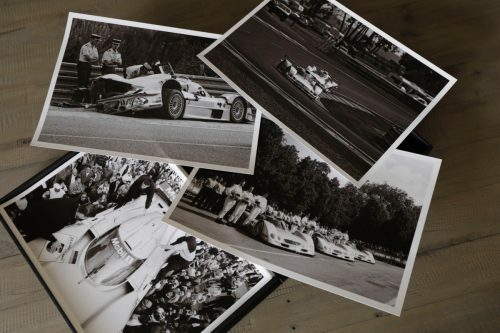 Please email theshop@petrolicious.com with your order number and the recipient’s name to be embossed on the box.